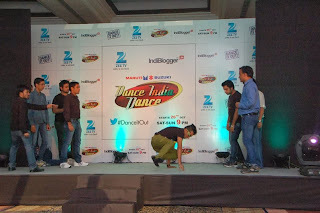 When I saw on Indiblogger that Dance India Dance Season 4 meet is in Delhi I felt really excited and registered myself without any second thought. It was very difficult for me to leave work and attend it but somehow I managed to do so for the love I have for Dance India Dance Show. 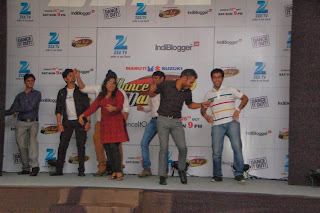 The judges are one of my favorite choreographers Mudassar Khan, Shruti Merchant and Feroz Khan. 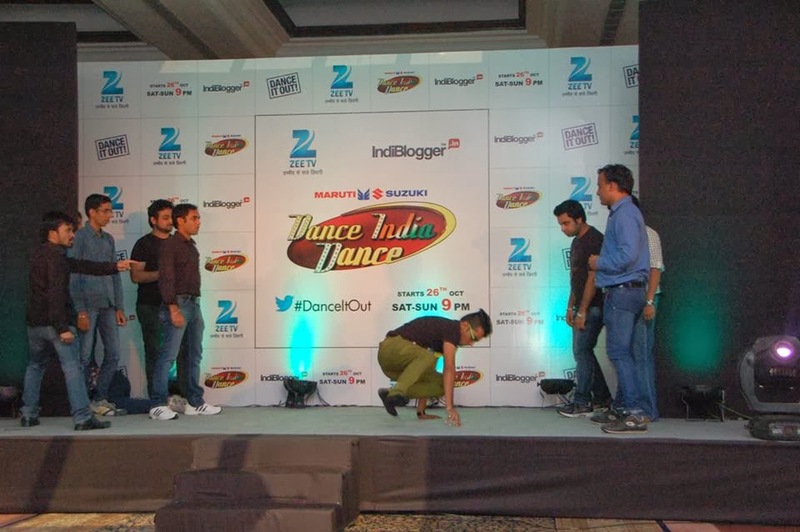 Out of which only Mudassar Khan and Feroz Khan came at the meet. The meet started with registration and this time there was something different, we had to fill a form in which we wrote about our blog and what are we wearing. This was done so that bloggers who feel shy could introduce themselves in the meet. A good activity I must say. Then a loud "HuddHuddHuddhuddddddddddd........." and then the judges came. Then my favorite number game started this time the numbers were less only 1 to 5. Behind each number they had the same activity that was who is you favourite actor/actress and dance on one of his/her song. This was fun "DanceItOut". Then there was team activity in the which they choose 8 Team captains and 8 teams were told to choose out their own cause and song and were asked to dance on that cause. A fun activity again. 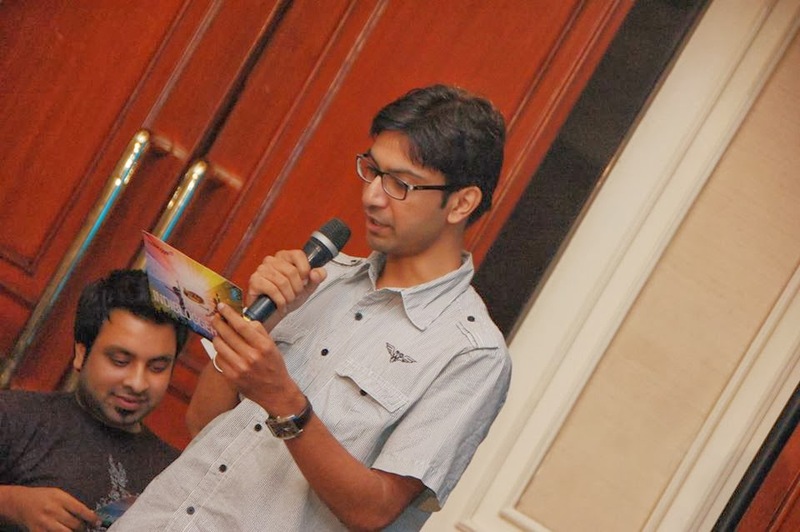 Winners were given gift vouchers. Two winners for twitter activity to write their cause were also given. We danced with the Judges at the end it was really fun. Then finally photo sessions, networking and Dinner!!! An awesome meet. 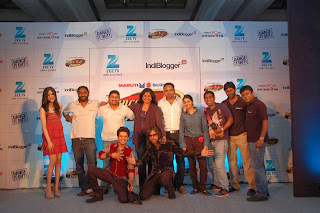 Thanks +IndiBlogger and ZeeTv ( https://www.facebook.com/ZeeTvIndia ) for such an awesome meet. Waiting for the next one!!!! 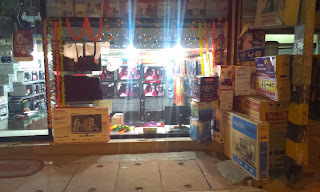 Yesterday, while I was walking towards my home I saw a person dancing alone in a Market which is very near to my house. He lives there and likes to dance and watches songs and dance on the TV shop in the market. 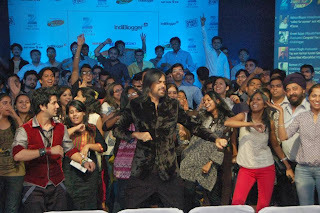 I asked him "Tumhe Kya dance pasand hai?". 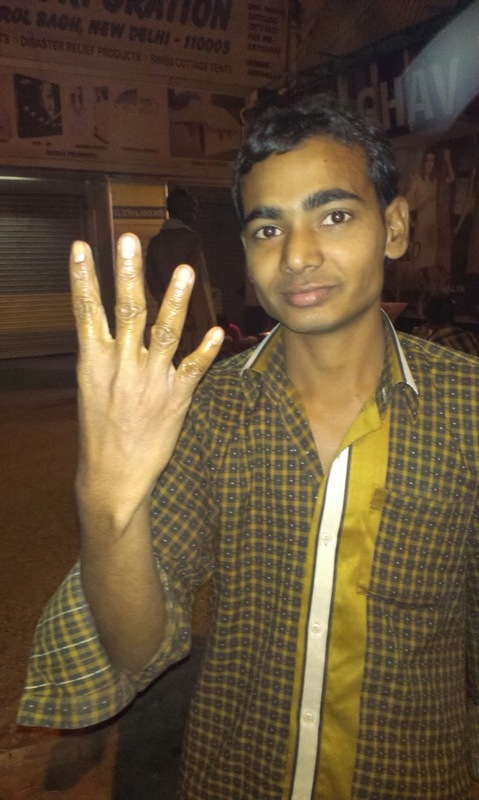 He replied "Haan mujhe dance dekhna accha lagta hai". Then I further asked him "Tumhe Dance Shuru se pasand hai?". He replied "Nahi Jabse shehar aaya hu uske baad se". He told me "Jab se baapu ke saath shehar aaya hu kapde ki dukaan mein kaam karta hu, waha jab bahut thak jaata hu aur jab koi pareshaani mein hota hu to TV ki dukaan mein dance wale gaane dekh leta hu aur mujhe accha lagta hai". That very moment I was touched by his replies. His name is Rinku. He really feels good after watching dance and songs. So, why not "DanceItOut" for these poor people those who watch dance to make them feel good and make them Smile. "India India Dance India Dance".